I'm finally back with some nail art! A little while ago I was offered the opportunity to collaborate with +BornPretty Store Nail Art and review some products. I was able to choose 3 products from the website, within a budget and selected 2 decals and some stamping polish. 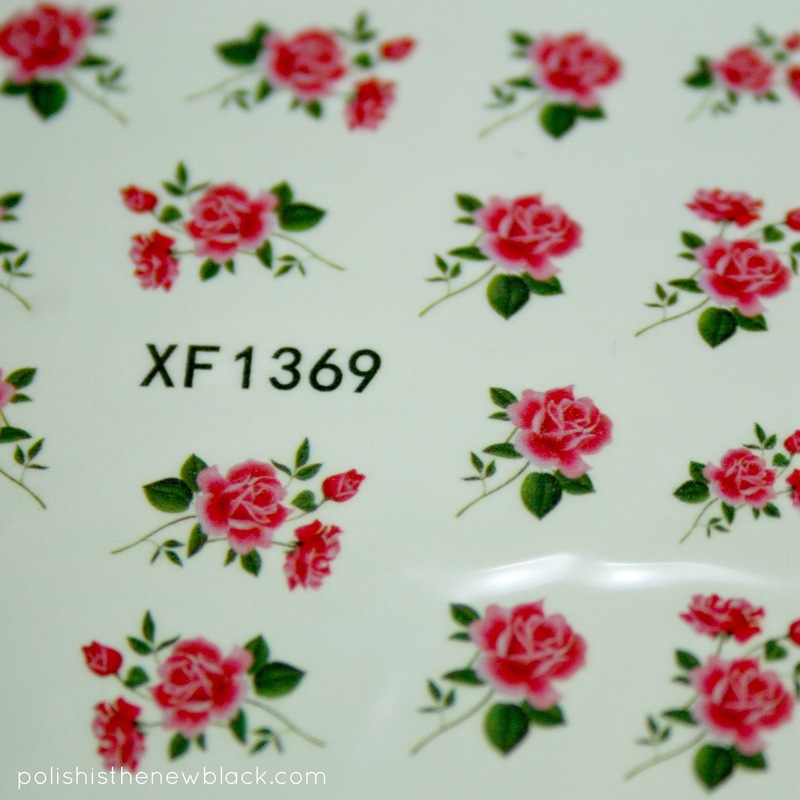 Today I have some nail art and a review of one of the sets of decals. They normally cost $0.99 which is 65p! What a bargain! Here they are up close so that you can see the detail. I was a little eager using them and forgot to picture them before using hence why they have cut outs! The perfectionist in me is going a little crazy! They were so simple to use and make nail art so quick and hassle free. Perfect for when you're limited on time! 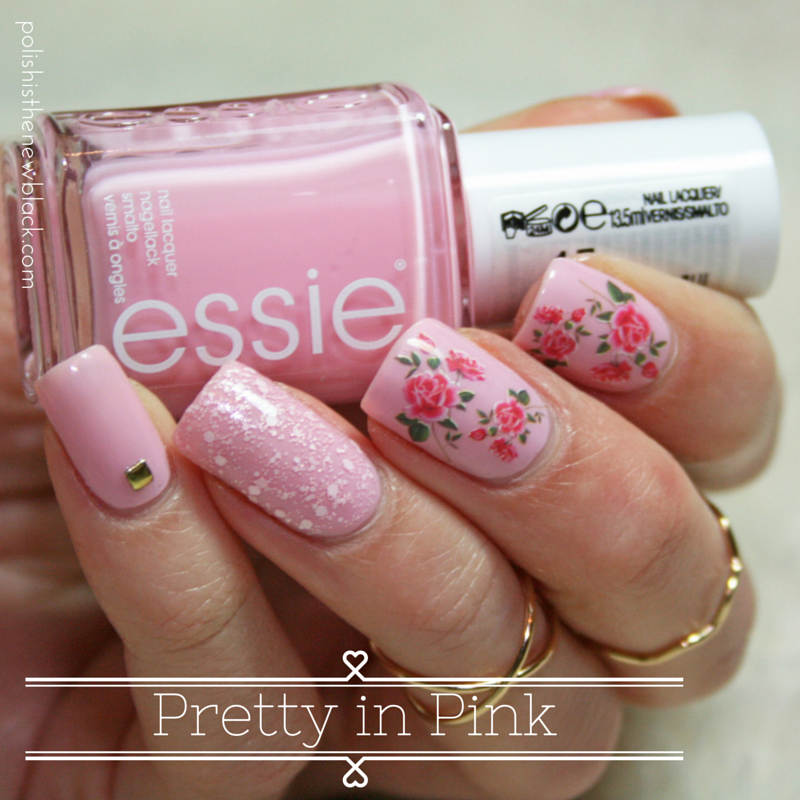 I have purchased many nail art supplied from BPS and have always been impressed with their quality. These decals were no exception. To use, simply cut out the design and peel off the film. Place the decal in water and leave for a minute. Take the decal out of the water and the design should simply slide off the backing paper. Place it on your nail in the desired position and blot away excess water. THAT'S IT! I added top coat to seal in the design. Overall, the decals were so simple and easy to use. The quality is perfect. 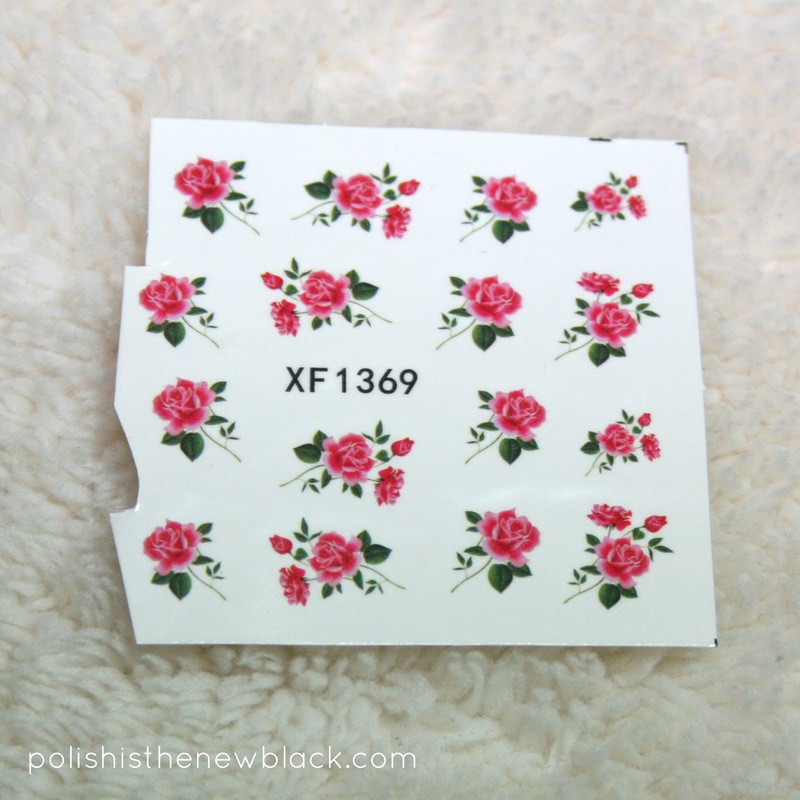 They are such a pretty design and the film is so thin it isn't visible on your nail. This also means the design doesn't stick up on your nail like a sticker and so they last much longer (as they don't catch on anything). 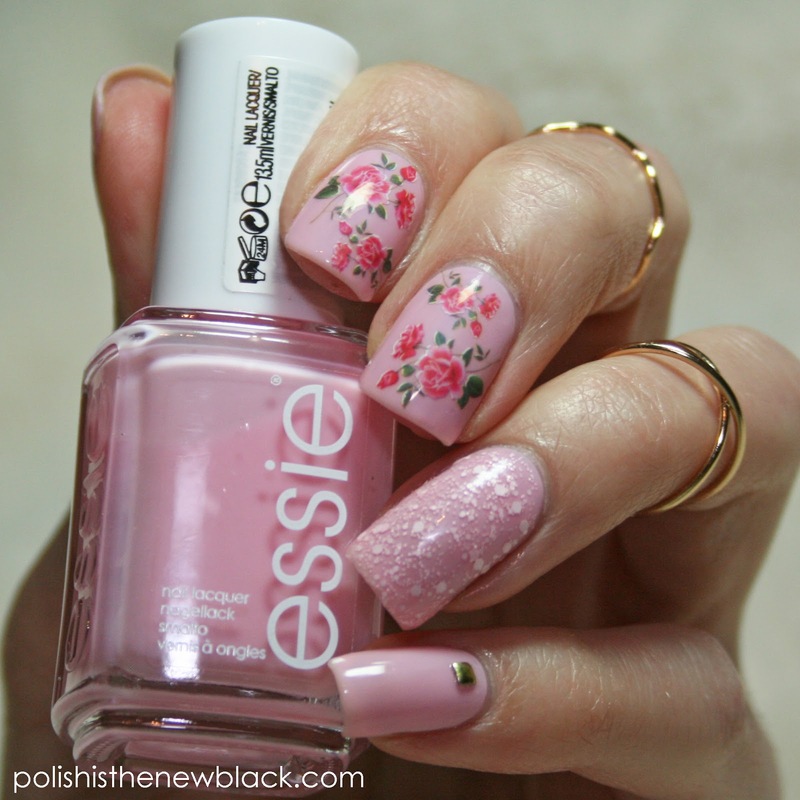 They make nail art really easy and are perfect if you are limited for time or if you aren't confident at freehand nail art. For 65p you really cant go wrong! I hope you have enjoyed this review. Keep an eye out for my reviews of the other products!